Broome County Peace Action and Broome County Veterans for Peace hold combined meetings at 6:30 pm on the second Wednesday of each month at the Unitarian Universalist Congregation on Riverside Drive in Binghamton. The Weekly Peace Vigil is held on the sidewalk in front of the Federal Building on Henry Street each Monday. It has been held continuously since April of 1999. The vigil runs from 4:00 to 5:00 PM during Eastern Standard time (changes to 4:30 to 5:30 PM during Daylight Saving Time). We hold signs pertaining to issues of peace and justice ranging from local to global topics, speaking peace in our community, country, and the world. 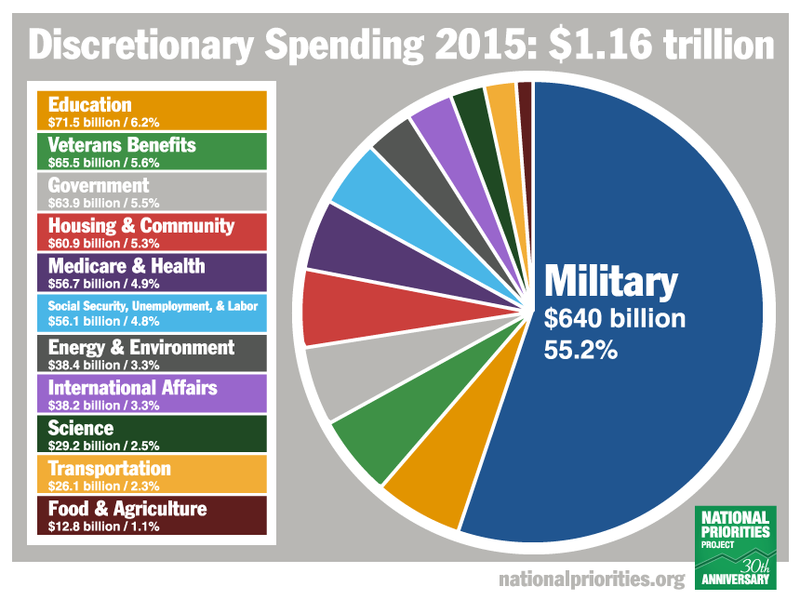 Click below to see a pie chart on U.S. Discretionary Spending.